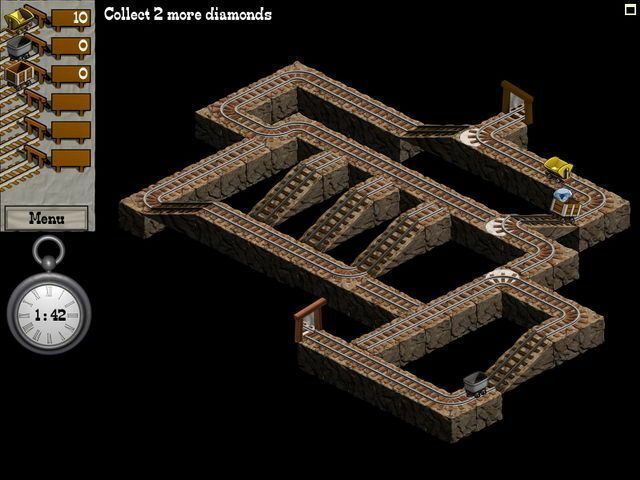 Hop in your mine car for a race against time to collect coins! 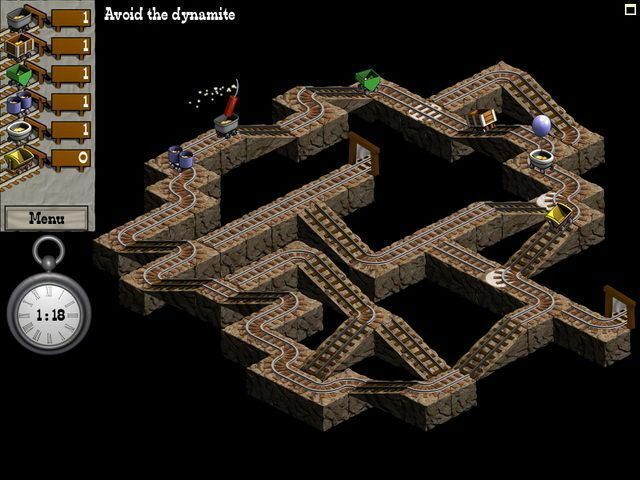 Using just your spacebar, you can guide your car through a maze of underground track to collect coins. Includes a multiplayer game that allows six people to play on a single keyboard. 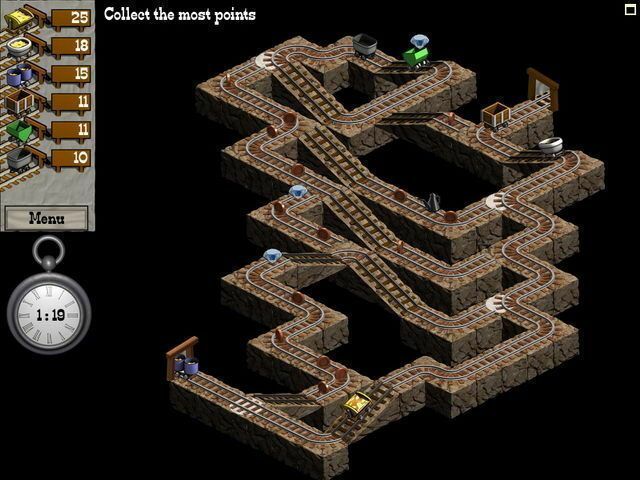 Hop in your mine car for a race against time to collect coins! 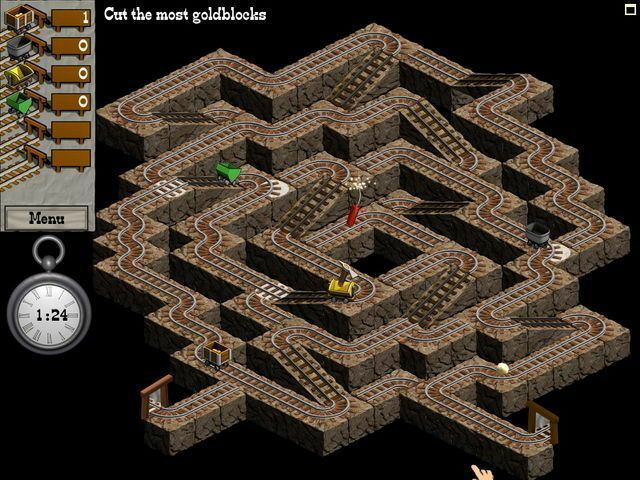 Using just your spacebar, you can guide your car through a maze of underground track to collect coins. 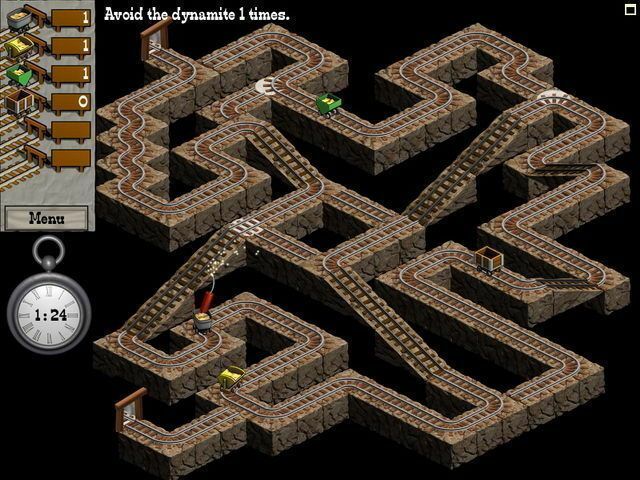 You can only go down, although passing through the exit will bring you back out at the beginning, giving you another shot at grabbing the coins you missed. 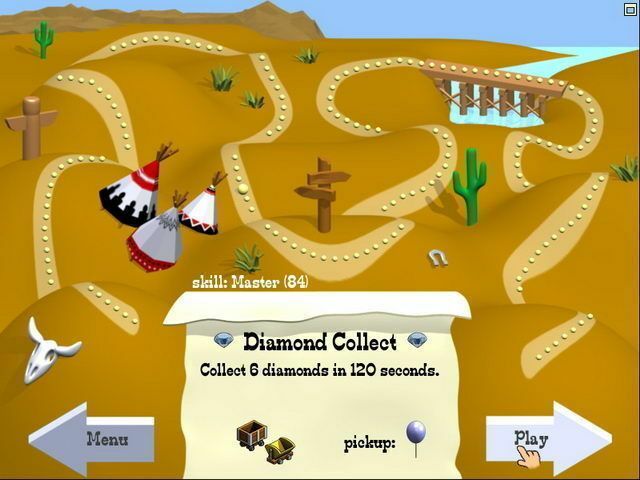 As your mine speeds through over 200 levels, you can grab pickups that help you beat the clock, including a balloon that enables you to go uphill and a ghost that allows you to move freely through the mines. 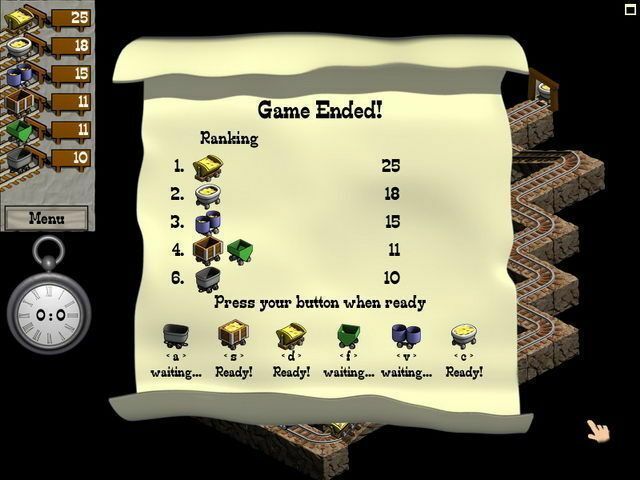 Mystic Mine also includes a multiplayer game that allows up to six people to play on a single keyboard. The action gets crazy in this family-friendly mode as you bump into other cars to steal their loot! Don't miss this instant arcade classic!